Most people who drink spirits at home pour well over what they would get in a pub when trying to give a single measure, figures suggest...It could also mean that people wrongly think they are drinking within the NHS recommended limits** of two to three units a day for women and three to four units a day for men. One of the joys of drinking at home is pouring a decent amount of rum or whisky into a glass rather than the pathetic, overpriced dribble you get in pubs and bars. 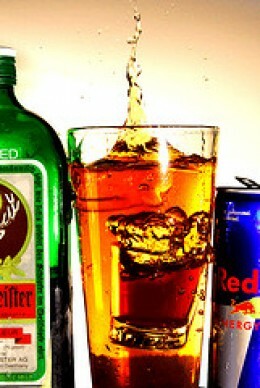 Public health minister Gillian Merron said: "Many of us enjoy a drink, especially at new year. But it's easy to get carried away and it's worrying to see just how much more people might be unwittingly pouring for themselves and their friends at home on a regular basis. If you want to minimise your risk of diseases like cancer, heart disease and stroke, it's worth paying attention to the size of your measures." **Would these be the alcohol limits that were plucked from the arses of the members of the Royal College of Physicians committee that was set up to look into alcohol misuse back in 1987?